This article analyses the glosses on Albertino Mussato’s tragedy Ecerinis by the North Italian magister Bartolino Vavassori, preserved in the manuscript G 111 inf. of the Biblioteca Ambrosiana in Milan (dated 1400). 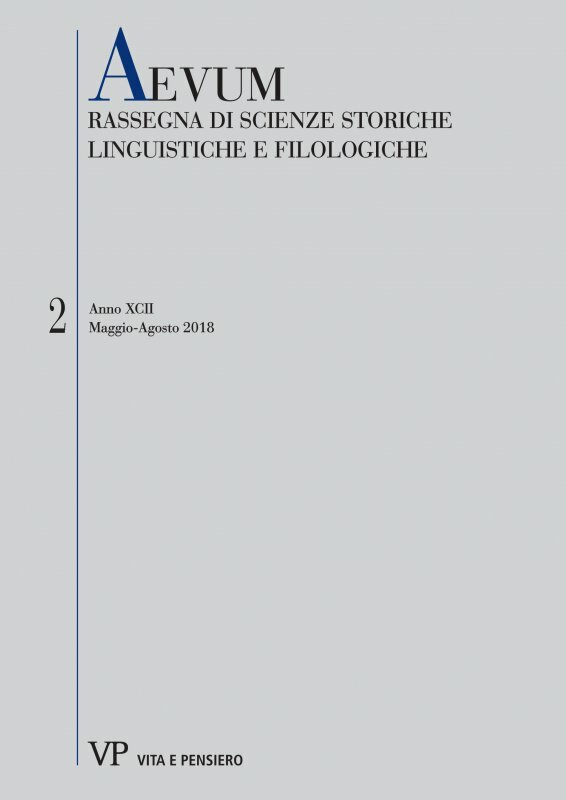 The commentary, which mainly aims at describing the contents of the work, its structure and its metrical aspect, makes use of historical and literary sources (e.g. the Paduan chronicle known as Chronicon Marchiae Tarvisinae et Lombardiae, Dante’s Divine Comedy and its Comentum by Benvenuto da Imola) shared with other witnesses of the Ecerinis, whereas it is thought to be independent from Guizzardo da Bologna and Castellano da Bassano’s Commentum on the tragedy. A complete edition of Bartolino’s glosses is provided in the Appendix. Albertino Mussato, Ecerinis, Bartolino Vavassori, tragedy, Medieval commentaries.